transracial adoptee & adoptive parent! Every adoptee needs to write their own story, but sometimes it can be tough getting started. 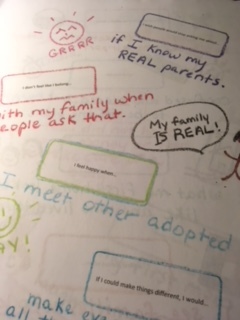 This activity book uses helpful sticker sentence starters to get your adoptee thinking about all of the parts of their story, so they can fully express their thoughts and feelings about adoption. Sample pages by the author are included to guide your child in creating their story. 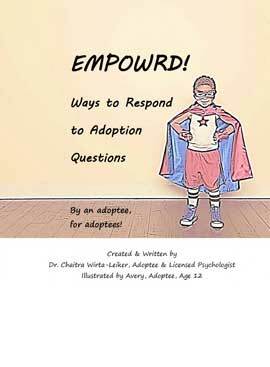 Learn about and practice six simple and effective strategies for responding to other people’s adoption questions in this fun activity book – developed by an adoptee, for adoptees!